We are committed to offer quality bearing to our customer and therefore, so we have the CNC numerical control, such as numerical control lathe, Drill hole machine, Gear cutting machine, grinding machine and cleaning machine to assure the bearing quality and reliability. When manufacture the bearing, we executive standard based on three steps to inspect the bearing dimension, tolerance, roundness, clearance, and hardness. First, inspected by worker, Second, inspected by workshop manager, the third, inspected by inspector. So every steps they are very carefully to do them. Our worker had owned at least 5 years experience to manufacture the bearing. So we can guarantee the bearing quality and reliable. For the worker study, Every week, we will ask the general engineer to lecture to the worker and other department staff. For the inspect tool, Every tools we will regular checked the accuracy to assure the right dimension. When the bearing parts finished by worker, we will assembly them and finally inspect the dimension, tolerance, clearance, roughness and hardness and so on. We will keep record the result to track them. 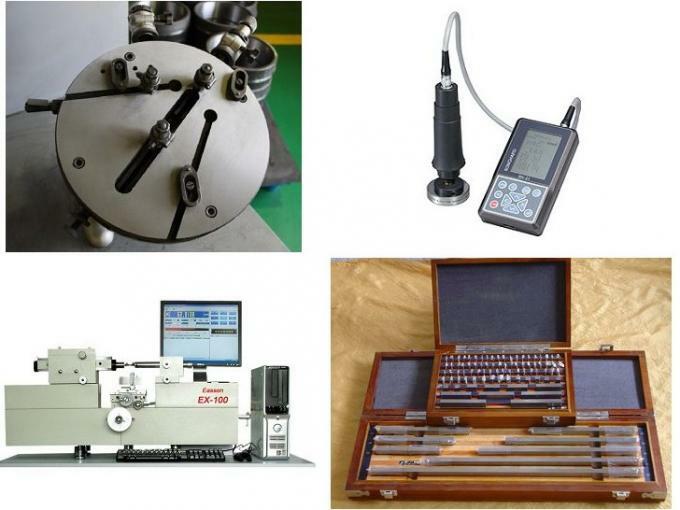 If the customer need, we can send the inspect report, hardness report and material certificate to you. The package, Inside packaging: plastic film + kraft paper + blue tape; Outside packaging: standard export free-fumigation wooden case. They can assure that the bearing shipping by sea or by air. We believe that we can make the good quality and reliable bearing to you! Because you trust us! We won’t let you down!